Enchantment of the Seas provides a cruise experience to remember – with a wealth of activities and attractions to keep you occupied between stops at stunning destinations. And of course, Cruise 1st Australia has all the latest deals. 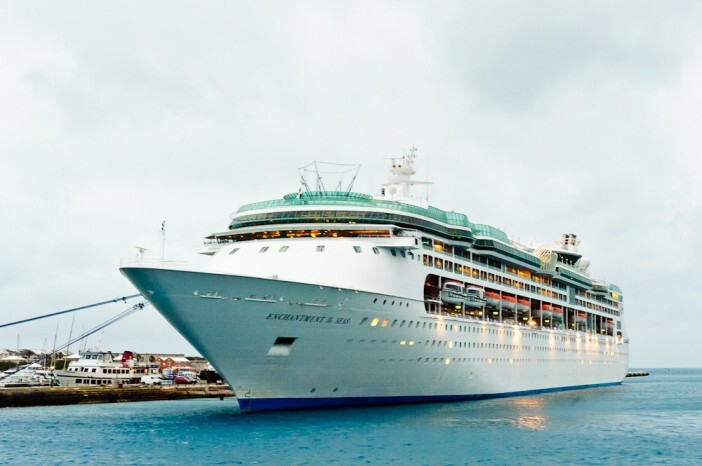 See all our Enchantment of the Seas cruise deals here. One of Royal Caribbean Cruises’ six Vision-class cruise ships, Enchantment of the Seas more than lives up to its name – with a huge range of exciting activities and relaxation spots making for a truly involving cruise. There’s something for everyone on board. The fun starts with the wide range of physical activities to choose from – including rock climbing, bungee trampolines and a fully kitted-out gym and fitness centre. Or if rest and relaxation is more your thing, take advantage of the on-board Day Spa, or top up your tan next to the open-roofed solarium pool. And you’ll never find yourself short on options when it comes to finding a good meal. Enchantment of the Seas’ fantastic dining options include the high-end Chops Grille & California Vineyards, as well as the more casual options of the Windjammer Cafe. You can find a great coffee at Latté-Tudes, and to satisfy your sweet tooth look no further than the world-renowned Ben & Jerry’s. There’s also plenty of great entertainment on board – from Broadway-style shows and a Las Vegas style casino to one of the 8 bars and lounges. Staterooms on Enchantment of the Seas are beautifully furnished and feature all the amenities you’d expect from a Royal Caribbean cruise ship. Even the most basic rooms – the Interior staterooms – are relatively spacious and offer luxury bedding, a sitting area, TV, telephone and safe as standard. Outside staterooms are similar but also offer great views out onto the ocean – great to wake up to while you’re at sea. But for the very best experience on Enchantment of the Seas, it has to be one of the Suites and Deluxe staterooms – which offer much more room and nice extra touches, including private balconies, concierge service, priority check-in & departure, etc. To book your trip on Enchantment of the Seas, visit our Enchantment of the Seas cruise page today. You can also use the search tool to find out what else might be available in your budget.